The sales appeal on the world market is one of the key factors of long-term economic growth. But competition on foreign markets is not just a comparison of price and qualitative characteristics – it is also a competition of export support systems, which governments offer to non-raw-materials exporters. 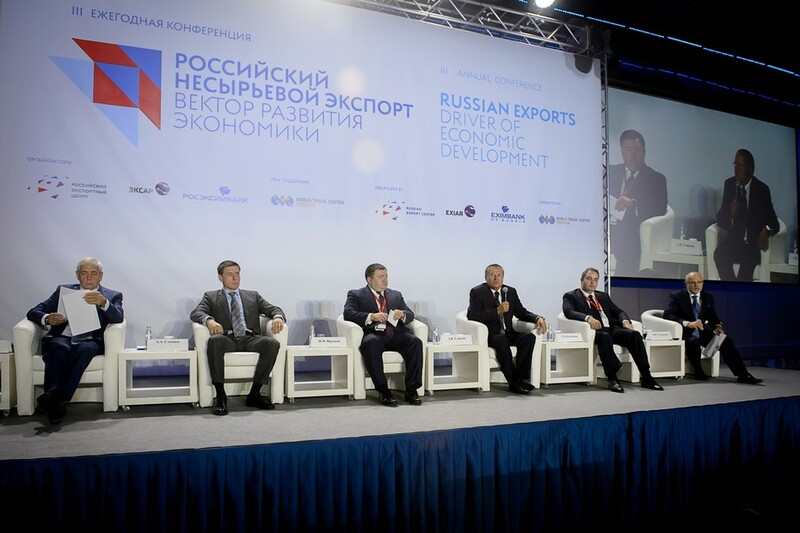 Today, many agencies, development institutions and organizations – Ministry of Economy, Ministry of Industry and Trade, Finance Ministry, FAS, FCS, Vnesheconombank and others — are involved in activity aimed at supporting export in Russia. However an exporter lacked a single counterpart who would become a starting point for Russian manufacturers striving to reach the global market. For that reason, the Government of the Russian Federation decided to establish the Russian Export Center (REC) to operate in a single window format to support producers and provide their access to the most complete set of services for supporting export activity. The Center’s range of services development was based on a principle of conformity to the stages of export project life cycle. Otherwise, it is an arrangement of routing and support of requests submitted to governmental structures, rendering organizational and consulting, training and informing, and financial services. The basic idea of the Center is to combine the state opportunities with the client-oriented business approach. Such approach will promote creation of favorable environment for the development of Russian export. The Center has already started to work both with experienced and with starting exporters independently on their volume and industrial specialization. The financial block of REC is represented by the tools of Vnesheconombank Group. In the nearest future, RECIIA and Roseximbank will be moved under REC corporate management and thus the financial “wing” of support is to be created. Integration of REC, RECIIA and Roseximbank will help, first of all, to exclude duplication of functions, secondly, to reduce the volume of document circulation, and thirdly, to save the time of all participants of export activity. In order to establish efficient interaction of REC with RECIIA and Roseximbank, a special end-to-end business process will be arranged, while all the clients who have addressed REC, RECIIA and Roseximbank, will be included into an integrated client base. In order to implement non-financial measures of rendering assistance to exporters, the Center will cooperate with partners and service providers in the key spheres of interaction. A model of obtaining the state support and the scheme of payment for services rendered through outsourcing will be developed. Potential spheres of interaction shall be: protection of intellectual property, legal support (including abroad), and logistics. Skolkovo Foundation, RBC and the Scientific and Technological Valley of the Moscow State University could be potential partners of the Center. In spite of the fact that REC operates for only few months, it has already succeeded to buildup a portfolio of more than 100 projects in automotive, agricultural, aviation, mechanical engineering sectors, the sectors of nanotechnologies and microelectronics, etc. The Russian Export Center has chosen a way of direct communications with business. Meetings with representatives of industrial organizations and individual exporters are arranged on a regular basis. One of REC’s goals is the accumulation of market information and transmitting business urgent requests to governmental structures. In order to find the most demanded requests it is planned to arrange regular quantitative and qualitative assessment of export environment. The first research project is devoted to the transportation and logistics sphere of export activity. REC engages the widest possible audience of businessmen in its studies, which allows it to involve, on the one hand, new clients to work with REC, and on the other hand, to use the accumulated base to continue research in the future. Such an approach, together with regularly arranged studies, helps to monitor the dynamics of export support system development, and to obtain digital data of the results of work of all federal executive authorities involved in the support of export, and to elaborate recommendations for their further works in this sphere. Opportunity for starting exporters to obtain knowledge needed to start their export activity. Opportunity of professional development for employees engaged in regional infrastructure of export support. Mini-MBA format was chosen for the program, which stipulates a practice-focused approach. Advisers competent in various spheres are engaged to develop and implement the programs, which gives an opportunity to create a really high-quality educational product. Training will be arranged in the full-time and remote modes, which will help to cover many regions within a short time period. Currently the Center is selecting pilot regions for the project approbation. The urgency of the educational project was stipulated by the fact that one of the main challenges the enterprises faced in their export activity was the lack of knowledge in the field of foreign trade activities – it was especially true for the regional companies. Regular surveys of businessmen confirmed high demand for and motivation to training.